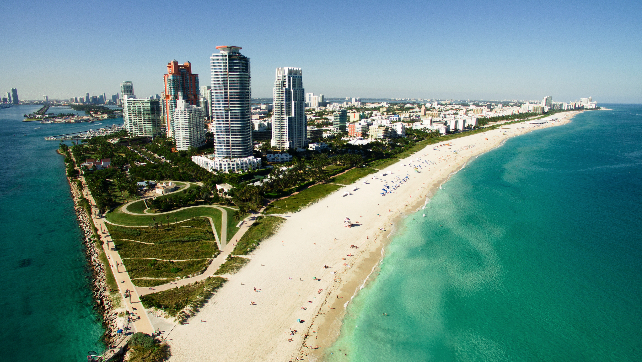 From its tall skyline and its beautiful beaches, Miami is one of the world’s most popular vacation spot. Although Miami Beach seems to be most famous, Miami includes beautiful areas like Brickell, Downtown Miami, Coconut Grove, Key Biscayne, and the Everglades. Miami’s popular Nightlife, although very trendy, is not the only activity people can enjoy in this famous city. Visitors of all kind can enjoy south Florida by: doing watersports, visiting museums, renting a boat, dining in international restaurants, going fishing, going diving, or even just laying on the beach. A fun aspect of Miami are the restaurants accessible by boat such as: Monty’s in Miami Beach or Coconut Grove, Sea Spice, Red Fish Grill, Shucker’s Bar and Grill. If a private boat tour with Miami locals is what you are interested in, HostandBoat will happily help you organize it! South Florida has the advantage of having Caribbean-like turquoise waters, so boat rental in Miami is a very common and easy practice. 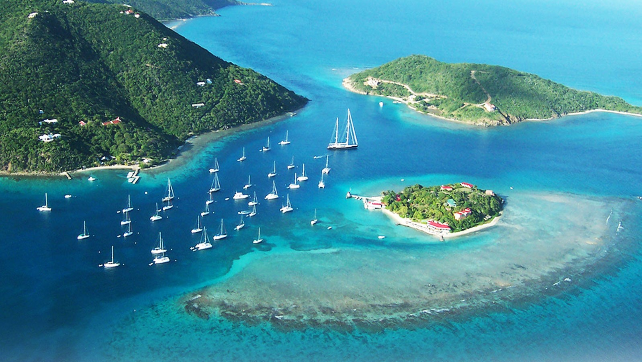 Motorboat rental, sailing boat rental, and catamaran charters are available in most ports and marinas. Going to a sandbar is an enjoyable activity, the most popular spots to party on a boat or just relax include: Haulover Sandbar in North Miami, Elliot Key, Whale Harbour Sandbar, Peanut island in Palm Beach, and Nixon’s Sandbar in Key Biscayne. While you rent a boat with skipper or capitan there, do not forget that Miami is one fast boat ride away from both the Bahamas and the Florida Keys, which include the famous Key Largo, Islamorada and Key West. The paradise of Indonesia. On Earth Raja Ampat has been described by many scientists as the richest place for Marine life on Earth, a diver’s mecca that relatively advanced divers should not miss. The biodiversity is just amazing with weird and rare underwater creatures everywhere you look and many new species have been discovered over the last few years in the archipelago. 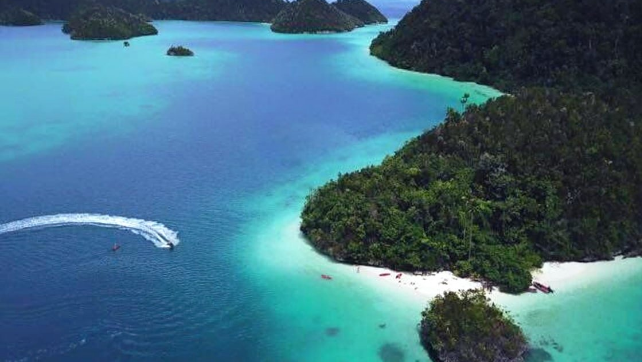 What to do in Raja Ampat­ ? It is like heaven for underwater photography with magnificent hard and soft coral, clear water and a teeming reef life. These islands are very rich in macro life with just about all of the kind of critters you can dream of! Certain locations such as Wayag, Panemu or Misol are famous for their panoramic views and bays filled with small mushroom islands which are accessible by our tenders and sea kayaks. There are thousands of potential dive sites. .Did you wonder where to stay in Raja Ampat? We offer you the best experience in Raja Ampat. We suggest you what to do and what to see in Raja Ampat. The best diving in Raja Ampat and the best excursions in Raja Ampat. 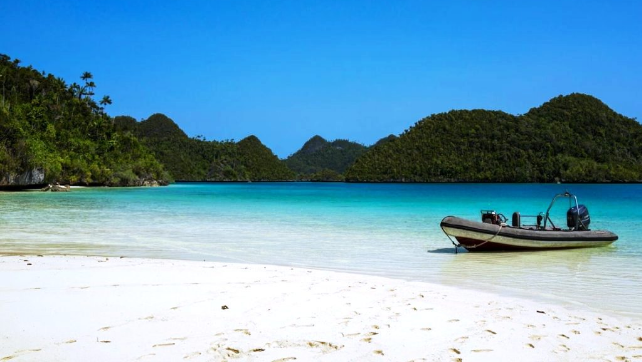 And also rent a boat in Raja Ampat. Bali, is also called the Island of the Gods. In the heart of the Indonesian archipelago, this small paradise is full of white sand beaches perfect for diving, while volcanic reliefs will delight the explorers. 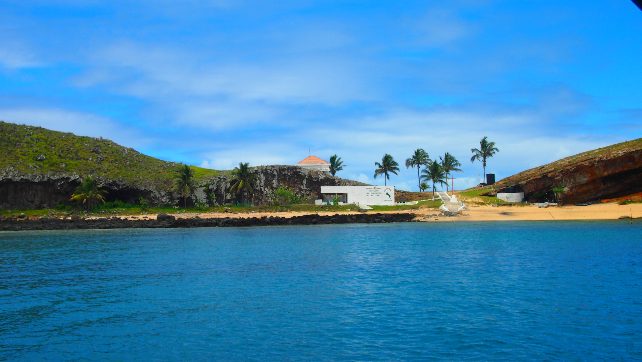 Do not miss the famous temples that make the island famous. Our favorites: the Pura Taman Ayun temple, the Goa Lawah temple and finally the Tira Empul temple! However, Bali is increasingly in demand by tourists from around the world. That's why you'll know what to do in Bali, what to see Bali and what to eat in Bali if you ren a boat in Bali. The pearls of the Adriatic. The crystal clear water that reflects sunlight. This is the memory of the Tremiti Islands that I will keep forever. To get there you have to do an hour / hour and a half by boat from Vieste, Peschici, Termoli, but Manfredonia (price: € 30-35 per person). 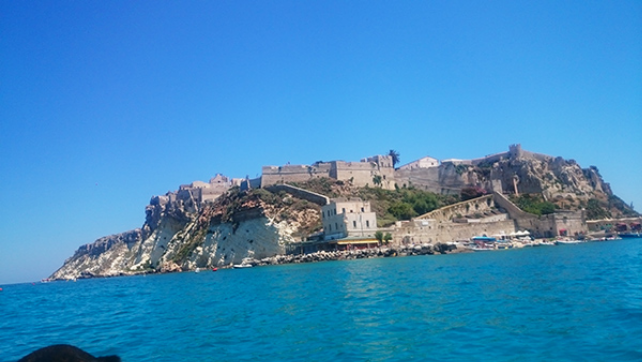 You can also get to the Tremiti Islands from Bari by train, bus or plane. They are five small islands located in the Adriatic Sea, on the eastern coast of the Italian peninsula. An archipelago barely known beyond the so-called Bota de Europa. Of wild beauty and crystal clear waters, they are ideal for a short boat cruise, from three days to a week. With a total area of ​​three square kilometers and a population of only 307 inhabitants, the Tremiti Islands are a popular holiday destination for many Italians who love nature and tranquility. First because they have remained relatively virgin, second because the prices are still contained, and third because the road traffic is very limited (only vans of the hotels and to transport food, to understand each other); so in the islands one enjoys the pleasure of walking, without getting too tired because of its small dimensions. The islands must be known by sea. Sailing through the Mediterranean Sea. Crossing to Corsica, approaching Sardinia and heading to Italy, visiting the Ionian Islands, resting in Athens before touring the Greek Islands, discovering the Turkish coast and getting to know Cyprus and Malta or skirting the entire coast of north of Africa. The Mediterranean Sea is one of the seas of the Atlantic Ocean, surrounded by the Mediterranean region comprised of southern Europe, western Asia and northern Africa, it is the second largest inland sea in the world, after the Caribbean. It communicates with the Atlantic Ocean through the Strait of Gibraltar, a step of 12.8 km. of length; with the Black Sea through the Straits of the Bosphorus and the Dardanelles, with the Red Sea and the Indian Ocean through the Suez Canal. You can rent a skipper or skipper to sail and enjoy a sailing holiday in the Greek Islands, Croatia, Montenegro, Italy, Spain, Malta and the Balearic Islands. Consult the experiences we have to offer you. Sardinia One of the most important and famous islands of Italy is undoubtedly this great island of the Mediterranean. What to do in Cerdegna? You can not miss knowing Cagliari your capital. Sardinia is the third largest Italian region. 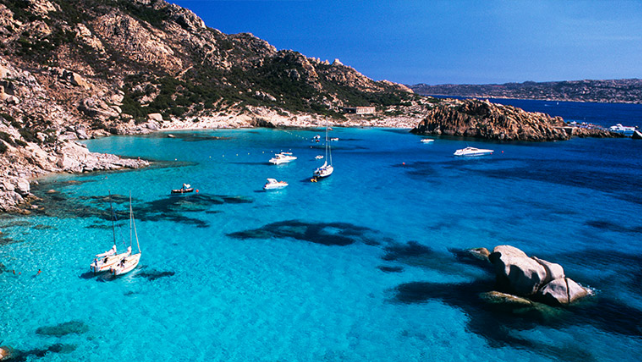 Come and rent a boat in Sardinia to discover one of the jewels of this country. This island is undoubtedly one of the most requested by thousands of tourists who venture into its shores. What to do in Sardinia? Renting a boat in Sardinia will have the opportunity to visit the most beautiful Italian beaches that make up the Costa de Esmeralda with its more than 50 kilometers with very calm waters and perfect to remain anchored in it. The Costa Paraíso beaches, more natural. In fact they are especially important during the summer season for the practice of scuba diving and various water sports. Followed to this and oriented further north we find the Alghero beaches characterized by their conventional coasts crammed with tourists due to its easy access. 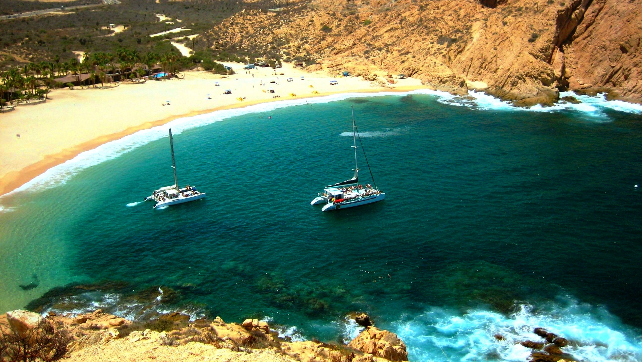 Also, we find the typical beaches of the east of the island with its coast practically empty and of course less known. What to eat in Sardinia? You can not miss eating the richest pizza, delicious pasta and the most delicious ice cream. So surfing waters and above all rest in them can become a relaxing therapy and pure disconnection. Come now and enjoy your authentic paradise. Rent a boat in Sardinia to live one of the experiences of your life. What to see in Croatia? Solitary coves and fishing villages full of history: that paradise imagined are the Dalmatian islands. Yes, a host of beautiful islands await you off the coast of Croatia, on the Adriatic Sea, and the rental of sailboats with skipper or any other type of boat with or without skipper and / or crew is the best way to get to know Croatia . Split, the second largest city in Croatia. 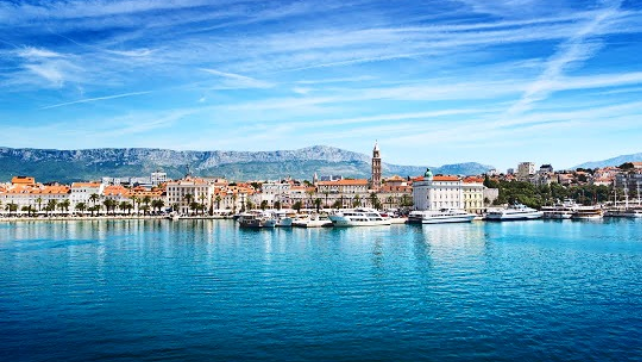 What to see in Split, whose port is one of the most important starting points for boat trips on the Adriatic, together with Dubrovnik. After hiring the rental boat, you can take advantage of it to get to know a little the historic center of the city, declared a World Heritage Site by Unesco. You can go to the island of Brac and stop at Milna, a beautiful city located in a deep bay of the same name where you can breathe tranquility and history at every step. The island of Brac is known especially for its stone mines, high quality since ancient times. Then you can continue to Stari Grad, located in a deep bay on the island of Hvar. Before entering Stari Grad the captain of your rental boat will anchor in a bay called Tiha, a paradise. In the port of Hvar, a quiet and relaxed place where you can enjoy a delicious dinner in any of its bars and restaurants. If you're wondering what to eat in Croatia, maybe it's time to meet some of the delights of Croatian cuisine, which has a lot of Mediterranean cuisine influence from countries like Greece, Italy or Spain. And if you do not know what to do at night in Croatia, you can go to the famous club Carpe Diem, one of the most popular nightlife on the coast. Surely you can moor the yacht or sailboat rental in the marina of the city of Korcula, where according to legend was born Marco Polo. The old Venetian fortress is surrounded by fish and pasta restaurants - there is a strong Italian influence in the food - washed down with the good white wine that is made on the island. Sailing by boat on the Adriatic allows you to discover paradises such as the island of Vis, where large crowds have not yet arrived. What to do in Vis? The coast is characterized by its natural gravel beaches, its clean and transparent waters and its many caves, the most famous being Modra Spilja (Blue Cave) is located on the neighboring island of Bisevo. 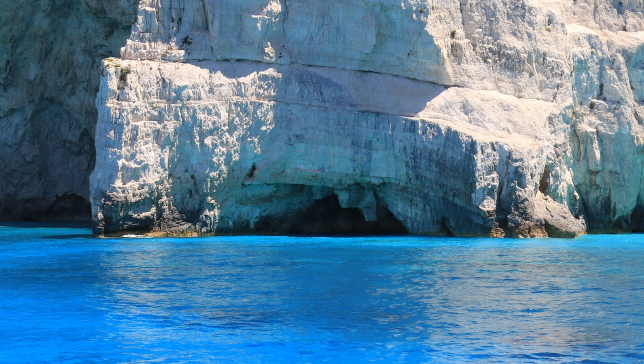 The nickname of Blue Cave is due to the blue tonality that it acquires because of an optical phenomenon, when sunlight is reflected in the water inside the grotto. The show is unique !. You can take the Wine Route or visit its thermal baths and its Roman forum. What to eat in Vis? In the upper part of the island there is a restaurant with a quiet atmosphere where you can enjoy a good roast lamb and vegetables. If you prefer fish one of the star dishes is the Pogaca od slane ribe, a cake of bread and sardines. What to visit in Croatia? Dubrovnik Known as the Pearl of the Adriatic, the city is surrounded by walls of white stone that die in the sea and can be walked through, touring the old town completely from the top, with stunning views. Going on vacation to Croatia with boat rental with skipper will allow you to have a perfect vacation. The Puglia, the best kept secret, according to National Geographic. 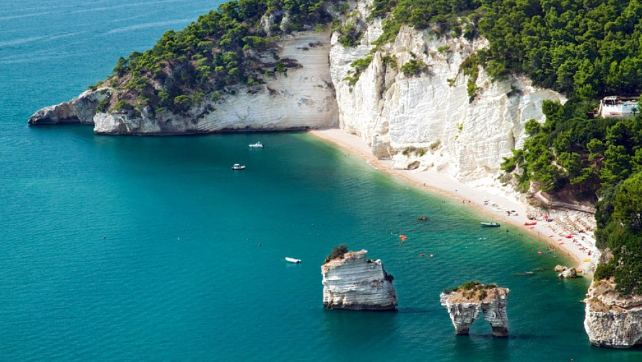 This southern Italian region falls in love with its beaches and whitewashed villages. Salento Peninsula. Bathed by the Adriatic Sea to the north and the Ionian to the south, it preserves an intact coastline. The Salento, also known as the "Salento peninsula" is popularly known as the Tacon of Italy, and is a subregion of Italy that extends over the southern part of Puglia, between the Ionian Sea to the west and the Adriatic Sea to the east. What to see in Puglia? What to do in Puglia? Land very rich in history, Salento has attended the succession of several peoples of diverse origins. First the Messapians, then the Greeks and finally the Romans and Byzantines dominated this territory leaving the traces of its passage. The peninsula of Salento is the southernmost part of Apulia. To the west, its shallow and sandy coastline is bathed by the Ionian Sea. The Adriatic slope begins in Santa Maria di Leuca and the coast becomes rocky and irregular. When opened, the rocks form a kind of caves that are called coves and are accessible by sea. From Santa Caesarea you can reach the cave of Zinzulusa, a cave that is worth exploring when the tide allows it and is not submerged by the waters. Pescoluse Considered the "Maldives of Salento", between the cities of Ugento and Santa Maria di Leuca, the beach of Pescoluse is a true dream of crystalline waters, white sand and dunes. Where the two seas are located in the Salento, the Adriatic and the Ionian will be where you will meet the famous town of Santa Maria di Leuca. The last town in Italy before looking out over the immensity of the Mediterranean Sea. What to do in Leuca? 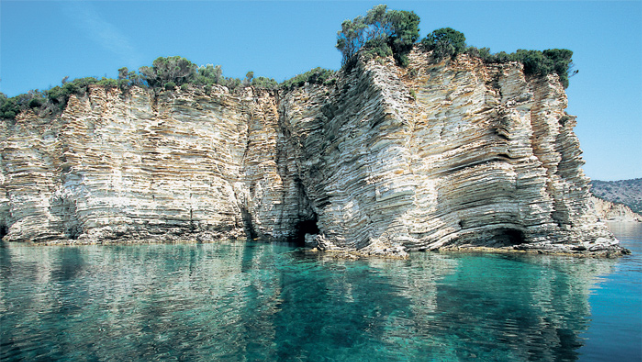 Leuca is white and you can bathe in two types of sea on its coast: one with rocks and the other with sand. You can not leave Leuca without approaching its lighthouse, on top of the mountain of the city. From this lighthouse, you can make the best pictures of the entire Mediterranean. What to see in Leuca: Ponte del Ciolo. If there is a peculiar place to take a dip in Leuca, that is the Ponte del Ciolo. As the name suggests, you can bathe in an area under a bridge, full of rocks and with crystal clear water. There are many paradises on Earth. Today we want to talk about Angra dos Reis, or as it is also called by many Angras people, or simply Angra. When we talk about Angra and its charm for tourists, we refer to the Angra region and not the city. Since this is a small city in the state of Rio de Janeiro and what attracts thousands of tourists every day is that its port is the place of embarkation to access the paradise that surrounds it: its 365 islands. Few places in the world gather so much beauty and biodiversity, in such an accessible and peaceful place. In this latitude it is summer the whole year, there is no hurricane season and in this small area you can enjoy beautiful beaches, some of them are among the best in the world, like Lopez Mendes or Aventureiro in Ilha Grande, San Gonzalo near Paraty , or Praia do Dentista y Fazenda in Ilha da Gipoia and the small and beautiful Ilhas Botinhas and Cataguases Islands, located minutes from the city of Angra. Where to go in Ilha Grande? It offers, in addition to the most beautiful beaches, a wild style for those who want to venture in their trilhas (paths in the forest) and cachoeiras (waterfalls). The picturesque village of Abraao, with its typical businesses and its diverse gastronomic offer, is an inescapable stop. Salmon with maracuja sauce, a unique dish that you can get in Dom Mario. 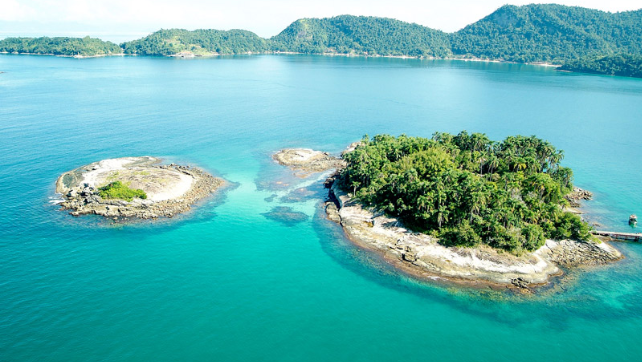 The Ilha Grande offers to visit a lot of very different beaches: Praia Vermelha, Aracatiba, Tapera, Maguariquessaba, Freguesía de Santana and its church of 1800, Freguesía do Medio, Lagoa Azul where you can swim in a natural aquarium and, also, a unforgettable place like Saco do Ceu (Saco de Cielo). It is a closed bay very protected from the wind, where at night you can see the stars reflected in the sea, a place that you can not miss. And ending the north side of the island, the quiet beaches of Pouso and Palmas, entrance to travel in 30 minutes the path that will take you to the famous beach of Lopes Mendes, one of the most beautiful beaches of the Brazilian coast. Yes, it is highly recommended to wear footwear and repellent. What to do in Angra dos Reis? We can not stop visiting Paraty. It has all the charm of a Portuguese colonial city that dates back to before 1700 and is full of museums and art galleries, with a cultural and gastronomic offer of first level. And the large number of small islands that dot the entire bay, complete countless possibilities to enjoy and discover a world from the water and below it, such as Paraty Mirym and Saco de Mamanguá. Going through this paradise on a sailboat allows us to reach practically unexplored places and approach them from a privileged perspective, integrating us to the environment in a harmonious way. See sunrises and sunsets in the sea from a sailboat and live with gulls, atobás, frigates and urubus, or dive in crystal clear waters with turtles and fish of all kinds around small coral reefs, immerse us for a few days in a world that seems lost for those who live in a big city. And as if that were not enough, he waits for us all year round, two hours by car from cities as connected as Rio de Janeiro or San Pablo. Paradise exists ... and remains on earth. You can not miss knowing him! The Amalfi Coast is a 60 km stretch of the coast of Campania between Sorrento and Salerno, served by a coastal road that is a very narrow catwalk, carved largely on the cliff. 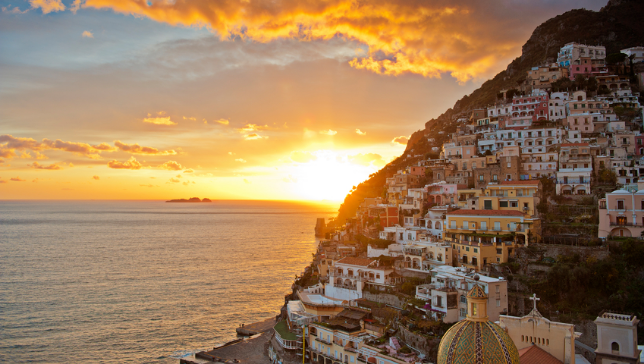 Along the road, between one vertiginous view and another, there are historic towns like Amalfi (on the Tyrrhenian Sea) and Ravello (high on the mountain), as well as a beautiful village that slopes down to the beach: Positano. Already Capri has been a coveted destination since the time of the Roman emperors - Octavian and Tiberius built palaces there. The destination is undoubtedly one of those places dreamed for a leisurely trip and dolce far niente (pleasant idleness, in Italian). You can look for beaches on the Amalfi Coast with incredible suggestions of lovely beaches for you to enjoy even more there. 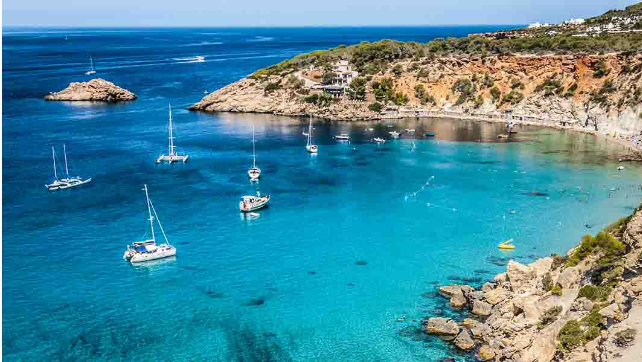 One of our main reasons to visit the Balearic Islands was the search for the best beaches in the Mediterranean, with clear water, almost no waves and warm water where you can enjoy snorkeling and some water activities. 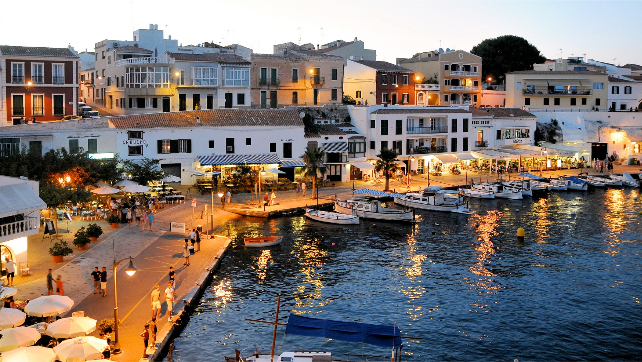 Sun, beach and lively nights make Ibiza and Formentera a special place, the most fabulous and fascinating island of the Balearic Islands. If you are looking for rest and relaxation in the sun, but at the same time having a very lively holiday, both day and night, Ibiza is the right destination. Salamina, Egina, Idra, Poros. A holiday on a sailboat in the nature of Greece’s Saronic Islands. There are many stages and the possible routes that you travel together lounging in the many bays with crystal clear waters and beautiful beaches, savoring the flavors of the local taverns, walking in the colorful villages or dinner on board under the stars. If you travel to Greece, you know that it is located in the south of the Balkans, between the Ionian Sea and the Aegean Sea. The Greek islands, with 1,300,000 inhabitants, are divided into several archipelagos: Cyclades, Dodecanese, Ionian, Sporades, islands of the North Aegean and those of the Saronic Gulf. The Greek islands are in total a beautiful mosaic of more than 2,000 islands, of which only about 200 are inhabited. A Greek island means a paradise for the traveler and if you travel to Greece, you have to know that each island has its peculiar architecture, mythology and friendly hospitality. Each island a dream, or better, a wish come true. Exploring the beautifully preserved architecture and historical monuments, and enjoying beautiful nights on the beach and dining by the sea, are the two activities you have to do in Greece. Renting a boat in Greece is a great opportunity to explore the area on a sailboat with your family or your friends, enjoy diving or learn to kite surf. What to eat in Greece? You can not miss the delicious Moussaka, Skordalia and the local Tzatziki, and for dessert the exquisite Baklavas. Greek cuisine also has two well-known drinks: Retsina, flavored with pine nuts, and the famous Ouzo, an alcoholic drink made with anise. In the middle of the Aegean Sea, you will find the most famous of the Greek islands, the Cyclades Islands. From the tranquility of Kea to the lively Mykonos, the fine sandy beaches of Milos or the impressive volcanic ridges of Santorini, a score of islands are offered to the visitor. Knowing its exotic beaches is one of the best things to do in Santorini: its white sand beaches, its black sand beach and its red sand beach. If you travel to Santorini, you can not miss the most beautiful sunset in the world. What to do in Mikonos? The windmills of Mykonos are part of the landscape and are already a symbol of the island, walk through the neighborhood of little Venice and walk through its typical little streets of white houses. 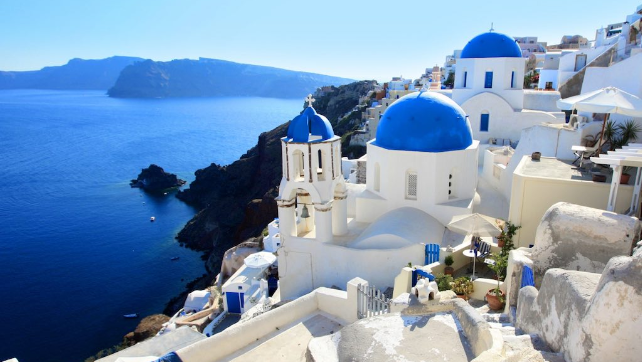 If you travel and do not know what to do in Greece, and do not want to go to the most popular and classic boat trips to Mykonos and Santorini, you have several alternatives that will also amaze you. We recommend you to know the other islands. You can travel to the Ionian Islands, from Corfu to Zante, you will be seduced by the variety of the landscape. Of unparalleled beauty, these fertile and mountainous islands offer excellent anchorages. What to do in the Ionian Islands, you can not leave without knowing Lefkada or Meganisi.Nidri is a tourist town located in the southeast of Lefkada, in a natural harbor surrounded by lush vegetation. You have the islands of Skorpios, Skorpidi, Madhuri, Sparta. The fairytale Meganisi will delight you with the picturesque village of Spartohori and its breathtaking views. You can swim in the Virgin Bay and enjoy a great lunch with a good wine prepared on a boat. Your next stop may be Skorpios, which is still under the control of the Onassis dynasty. From Athens to Hydra, the Saronic Gulf offers you wonderful places, ports and villages of all the seascapes of the country. If you travel to the Saronic Islands, you can not miss the beautiful Poros, Hydra and Salamina. Poros, is a place that surprises you, near Athens, and away from the hordes of tourism that is usually seen in the months of August in Europe. If you travel to Poros, one of the obligatory stops is to take pistachio ice cream, it will be the best ice cream of your life. And you can buy tzatziki already prepared in the Kritikos supermarket. You have hundreds of options to stay, one more beautiful than the other, it almost never rains, so much that at night if you are in a mooring you will be able to see the film that they are presenting on the screen of the Open-air Cinema, which is on the terrace of the only gallery you'll find in Poros. On the way to Athens you can anchor on the island Aegina, a very small island with very transparent waters. After visiting and touring the intoxicating city of Athens, you can continue your journey towards Salamina Island. Your water, for sure, will be the most transparent you see again, so much that you can know every bit of its bottom, even being 10 meters deep. Another trip you can take in Greece is to cross the Corintos Canal by boat. You will be speechless while you sail. And if you wonder where to go in Greece, to continue enjoying its beautiful beaches but where you are also interested in experiencing an experience with local people, we recommend the city of Kiato. Going to the beach in Kiato, it will make you feel like you are inside the Cocoon movie. Experiment it and you will know why. To the north are the spectacular Sporades Islands. Skiathos, Skopelos, Alonisos and Skiros. Its mild and temperate climate, far from the tourist circuit, offer you warm waters, beaches of fine white sand and eucalyptus forests. Located north of the Aegean Sea, are the North Aegean Islands, is an archipelago, off the coast of Turkey. There we can visit Ikaria, Mitilini, Samos, Limnos. And finally the great island of Crete is the largest in Greece and the fifth in the Mediterranean. but if you want to know what to do in Crete, it is an island that needs more time than the others for your visit, therefore we will leave it for another delivery. The nautical tourism is well developed in Greece, thanks to its paradisiacal islands and the translucent sea, which makes it a perfect destination to go on vacation. But the real pleasure is to rent a boat in Greece and start a cruise on those beautiful islands. If you want to build your Itinerary to navigate with a rental boat, we can help you. Sailing in Greece is a very famous activity, it is a "must" if you really want to enjoy your trip. No matter where you decide to go, you will have unforgettable moments if you rent a boat in Greece. To discover the beauty of the British Virgin Islands is to discover the unique character of each island in this volcanic archipelago. From the culture and history of the four largest islands of the British Virgin Islands to the pristine natural splendor of more than 50 smaller islands, each place where the anchor is released offers its own magic. The largest island of the Balearic Islands, a must for the Mediterranean tourist, an island of charm that offers a wide gastronomy, has everything and for all, beautiful beaches, mountain tourism, is an island full of natural contrasts. Its churches and monuments of great historical value, the exquisite gastronomy and personality or the presence of some of the most popular nightclubs and clubs in Europe give more than enough arguments to the foreign visitor. Montenegro is one of these ideal tourist destinations that gains popularity among tourists in an unstoppable way. Not only for its attractive coasts but for its wealth of culture. Located in the south-east of Europe, in the Balkan Peninsula, this country receives with gentleness the waves of the mythical Adriatic Sea. What to do in Montenegro? Renting a boat in Montenegro is one of the most interesting options for the wide range of attractions on its coast and diving into a culture that surprises with encouraging joy and a taste for simple things. Many peoples met in this country practically newborn (Serbs, Orthodox, Slavs and those arrived by sea), so its coast is full of Catholic monuments while in the interior the Byzantines proliferate. This nation, one of the youngest in the heart of the Balkans (became independent from Serbia eleven years ago) was chosen by Lonely Planet in 2016 (with the city of Kotor in front) as one of the most interesting places to visit. 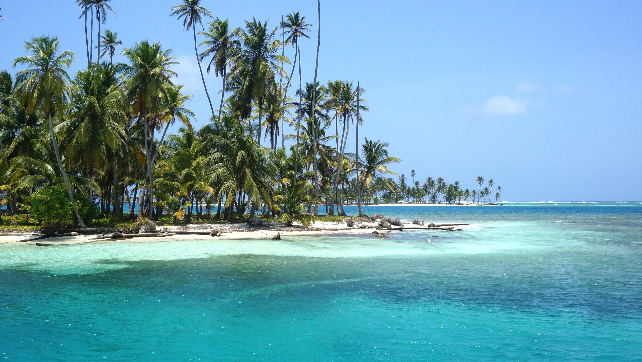 One of the many paradises that exist on Earth is in Panama and it goes by the name of San Blas. The San Blas Archipelago, or Kuna Yala in the native language, stretches along the northern coast of Panama, from the border with Colombia. The archipelago of San Blas, Panama, is one of the treasures of the Caribbean Sea. It goes far beyond just the islands paradisíacas, because in spite of the natural beauty be incredible, all the culture and life of the people. The archipelago of the Azores is synonymous with nature. What to do in Azores? swim with dolphins, see volcano craters, walk among green mountains, dive in hot water lakes or try food made with the very warmth of the earth. Inserted in the wild waters of the Atlantic, these nine islands are full of places of unique beauty, authentic natural gems where man's intervention goes unnoticed and vegetation remains the main protagonist. How to get to Azores? The Azores Islands have 9 islands, all of them with an airport that connects the islands with each other and with Portugal, as well as with Europe. We must emphasize in this sense that all the Islands have these facilities. The most important of all is the Joao Paulo II Airport, in Ponta Delgada, capital of the Island of Sao Miguel and the Archipelago. Island to island, to get to Sao Miguel, you can arrive every day from Lisbon, or from any other airport via Lisbon. There are also charter flights from the US and Canada each week. The companies that fly the most to Sao Miguel are TAP Portugal, Ryanair, Easyjet, Azores Airline SATA and ACORLINE. The archipelago of the Azores is formed by nine magnificent islands of volcanic origin. It is located in the Atlantic North, between 36º and 43º latitude north and the 25º and 31º longitude west. Their population is around 250.000 inhabitants. The climate is temperate humid and the temperature range varies from 13º C in winter to 24º C in Summer. The average water temperature is 20ºC due the warm Golf stream. What to do in the Azores Islands have a wide range of activities to offer those who visit us. For the nature lovers it is possible to enjoy a huge number of breathtaking sceneries from mystical lakes, endless green fields, powerful mountains and the endless blue sea. Azores is also a great place for adventure sports and it has great conditions for the practice of surf, windsurf, paddle board, tracks, canyoning, bird watch, diving, sport fishing and golf. After a long day full of adventures you still can enjoy a relaxing thermal bath warmed by our volcanic “caldeiras”(hot springs). Traveling to Malta is a very good destination if you are planning a fantastic day of sightseeing in the middle of the Mediterranean. Rent a boat in Malta. Malta is one of the smallest countries in Europe, located in southern Italy and in eastern Tunisia. 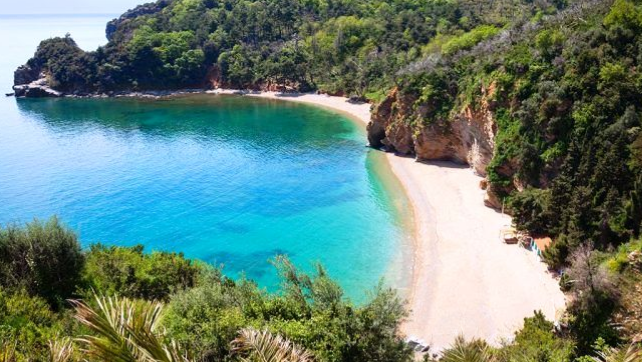 Located in the middle of the Mediterranean, it has a totally natural and wild environment with transparent waters. The ports to be highlighted are those of Valletta Waterfronto, which is the most important on the island not only because it is housed in the capital but also because it is more than 260 years old, Portomaso, Marina de Kalkara. What to do in Malta? It is a very appropriate place to rent a boat in Malta and you can not miss the cliffs of Dingli. In the archipelago, besides the island of Malta, we can not fail to name the islands of Gozo and Comino. After Malta, Gozo is the largest area. and here you will be able to know the towns with great history like Rabat and Xlendi. In Comino you will find a very rich natural spot, perfect for diving for all levels in its more than known blue lagoon or Blue Lagoon. Rent a boat in Malta and enjoy one of the most visited places in the Mediterranean. On this island you can enjoy the sea and a good rest in a paradisiacal place. 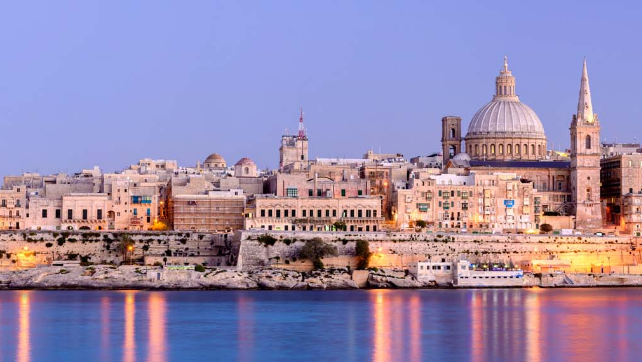 On the other hand, traveling to Malta with the idea of ​​tourism will allow you to discover many historic cities and towns typical of the Mediterranean and, surely, you will fall under its spell. The island has coves, blue beaches and unforgettable sunsets. 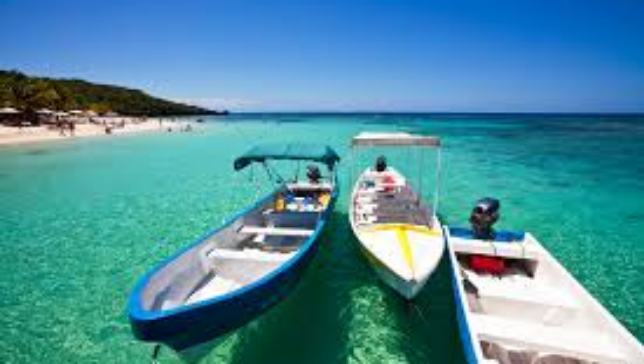 Spectacular diving and snorkeling in the three Bay Islands: Utila, Roatán and Guanaja – located between 25km and 50km off the north coast of Honduras. Their reefs are part of the second-largest barrier reef in the world, and teem with fish, coral, sponges, rays, sea turtles and even whale sharks. A trip to paradise. 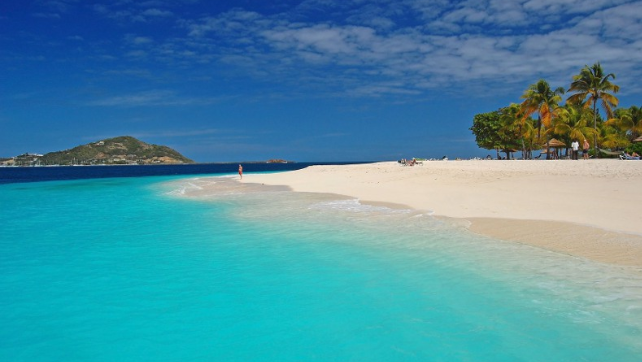 Their beaches are the best of the Caribbean. Meca of diving, snorkelling, kayaking, swimming with dolphins:. The best things to do in Bay Islands. The perfect location for your next vacation. St Vincent and the Grenadines (SVG) evokes visions of exotic, idyllic island life. Imagine an island chain in the heart of the Caribbean Sea, uncluttered by tourist exploitation, with white-sand beaches on deserted islands, sky-blue water gently lapping the shores and barely a soul around. On the southern coast of the state of Rio de Janeiro, on the border with São Paulo, Paraty attracts tourists from all over Brazil and the world for its charm, nature and history. Coastal city, Paraty counts on beautiful beaches, but manages to offer its visitors much more than that. 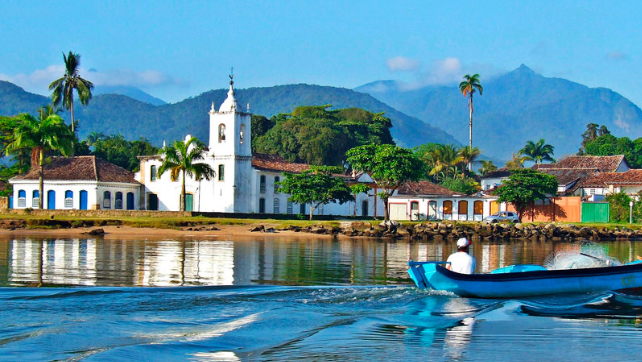 Paraty also offers a series of cultural and gastronomic tours. What to do in Paraty? It has all the charm of a Portuguese colonial city that dates back to before 1700 and is full of museums and art galleries, with a cultural and gastronomic offer of first level. And the large number of small islands that dot the entire bay, complete countless possibilities to enjoy and discover a world from the water and below it, such as Paraty Mirym and Saco de Mamanguá. 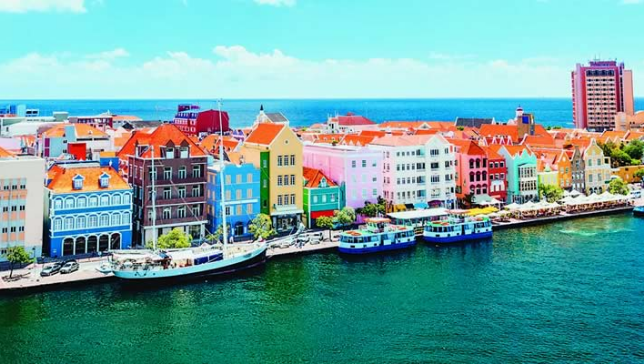 Largest island of the former Dutch Antillean archipelago, Curaçao is now one of the most sought after tourist hubs in the Caribbean. Its history is rich and transcends all the cultural diversity that still makes the island one of the friendliest places in the Caribbean. Together with Aruba and Bonaire form the so-called "ABC Islands", a tropical paradise rich in coral reefs and white sand beaches and turquoise blue sea. What to do in Curacao? 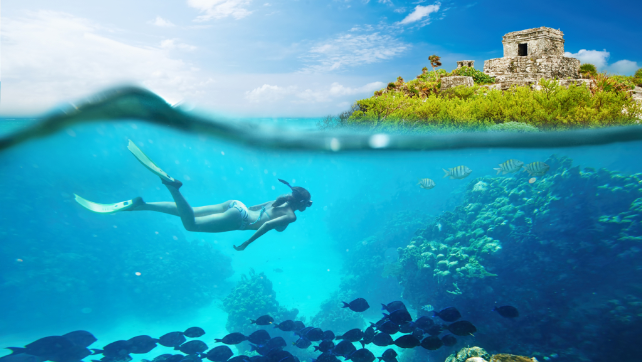 Perfect for diving, Curacao still offer horse riding, jeep safaris, mountain biking and extreme sports such as windsurfing. Popular culture is highly valued there and this is reflected in the large number of local museums and artists. 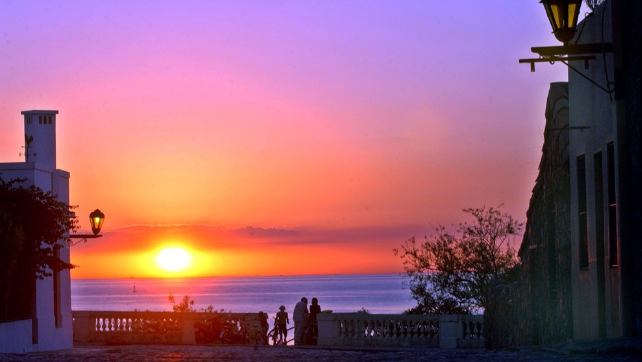 Salvador, the capital of the state of Bahia in northeastern Brazil, is famous for its Portuguese colonial architecture, its Afro-Brazilian culture and its tropical coastline. 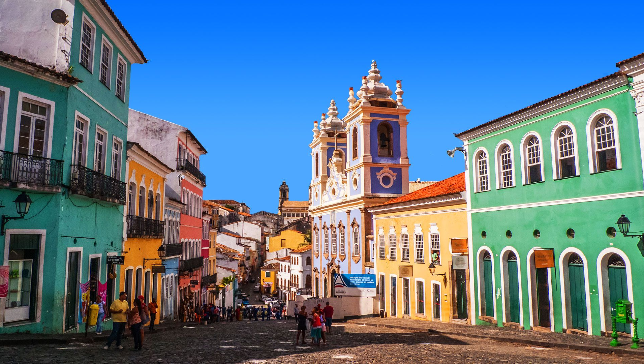 The district of Pelourinho is its historic center, with cobblestone streets that open in large squares, colorful buildings and baroque churches, such as San Francisco, with work in wood bathed in gold. Crystal clear beaches, valuable historical remains and a fascinating network of diverse cultures serve as a backdrop for the huge list of tourist attractions to see in Salvador de Bahia. Punta del Este is the most chic resort in Uruguay with mansions, luxury condominiums, designer shops and good restaurants. Casapueblo, the Hotel Casino Conrad and the Monument to the Ahogado (the fingers that leave the sand) are the main icons of Punta. 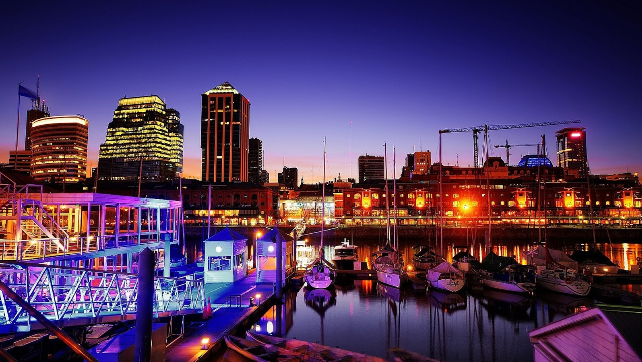 The Port of Punta del Este has a great concentration of restaurants and bars that work day and night. Punta also has some cool museums, such as the Museo Rallí and the Parque de las Esculturas - Fundación Pablo Atchugarry and there is also the Museu do Mar, which is located in La Barra. Skorpios, Corfu, Lefkada, Kefalonia, Ithaca. Sailing holidays through the Greek islands: sun, sea and relax, discovery and navigation. Transported by the wind, bay by bay, beach by beach, from island to island, enjoy the relaxed greek atmosphere and wonderful nature. In the Ionian Sea there is a large group of islands that houses a scenic and architectural treasure for visitors and onlookers. Mountainous and leafy landscapes stand out dotting the blue of the sea in contrast to the aridity of low and wide beaches. 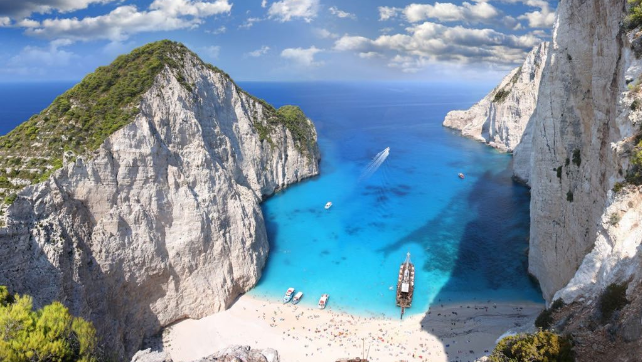 The Ionian Islands are mainly composed of Corfu, Paxos, Lefkada, Meganisi, Itaca, Zakinthos and Kithira. What to do in the Greek Islands? This is a perfect destination to visit with your rental boat. Corfu is the second of the islands in size and is protected by a beautiful legend of mythology in honor of the name of Poseidon's favorite nymph. It was the favorite island of royalty and the high classes of Greek society for a long time and still today it keeps that place. Many other islands are outlined on the horizon of the Ionian Sea even when they are called the "Seven Islands". All of them are generally well equipped to supply tourism. This is a great opportunity to rent a boat in the Ionian Islands and enjoy a mild climate and extremely hospitable and happy people. The Abrolhos archipelago is 36 nautical miles (about 70 kilometers) from the coast of the southern tip of Bahia; It is formed by five islands, nevertheless the disembarkation and visit is only allowed in one of them, the Siriba. It is one of the most significant areas of the Brazilian coast, due to its great biodiversity and important ecosystems. The tourist activities are mainly aquatic; diving allows you to fully appreciate the coral reefs and all the marine fauna, and the boat trips are ideal for the observation of the whales-jubarte. Abrolhos is the cradle of the jubarte whales, which make this region their refuge for reproduction and the Abrolhos_ballenaamamantamiento, between the months of July and November. The archipelago is the area of reproduction of this most important species in the Western South Atlantic. Mikonos, Naxos, Santorini, Milos, Ios, Serifos. Thousands of islands and thousands of gods and heroes. You will enjoy the privilege of discovering from the sea places that are, from countless point of view, among the more fascinating of the World. Glamour islands with frenetic rithms, wonderful beaches attracting tourists all over the world. In the middle of the Aegean Sea, you will find the most famous of the Greek islands, the Cyclades Islands. From the tranquility of Kea to the lively Mykonos, the fine sandy beaches of Milos or the impressive volcanic ridges of Santorini, a score of islands are offered to the visitor. Knowing its exotic beaches is one of the best things to do in Santorini: its white sand beaches, its black sand beach and its red sand beach. If you travel to Santorini, you can not miss the most beautiful sunset in the world. What to do in Mikonos? The windmills of Mykonos are part of the landscape and are already a symbol of the island, walk through the neighborhood of little Venice and walk through its typical little streets of white houses. What to eat in Greece? You can not miss the delicious Moussaka, Skordalia and the local Tzatziki, and for dessert the exquisite Baklavas. Greek cuisine also has two well-known drinks: Retsina, flavored with pine nuts, and the famous Ouzo, an alcoholic drink made with anise. 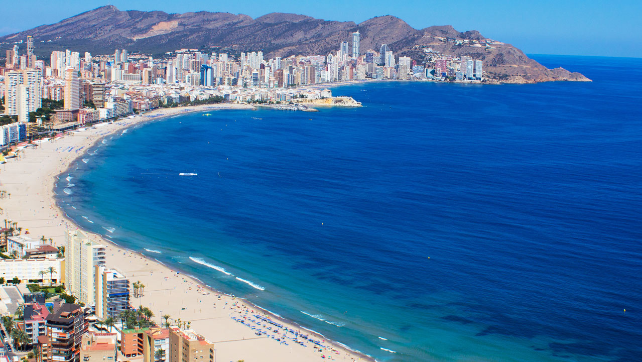 Sailing the coast of Alicante, towards Altea, Calpe or Moraira, coasting along the beaches, anchoring to give us a refreshing swim and enjoy a good lunch or meal. Sailing to the island of Tabarca that has a natural reserve where we can dive to observe the different marine species. Rest, relaxation and fun are guaranteed. Nature in Bariloche offers you the possibility of doing a lot of activities throughout the year. There is a lot to do and explore: beaches, rivers, forests, steppe, adventure sports, walking or simply contemplating its sublime landscapes. 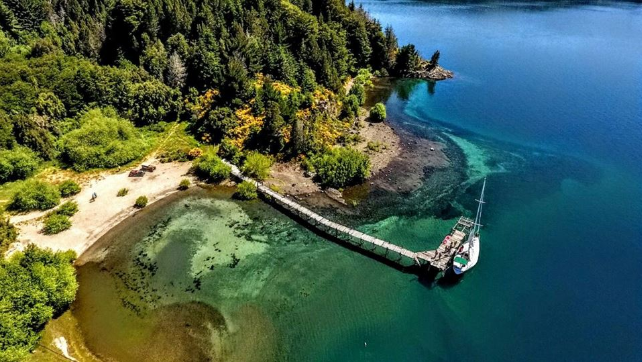 One of the must-see excursions to be done in Bariloche is the navigation of Lake Nahuel Huapi, which is characterized by its large size, its beautiful surroundings and its crystal clear waters. Sailing is one of the favorite activities of those who visit us and that allow us to know the extraordinary geography and fauna on board modern boats. Cancun is a city known mainly for four types of attractions: paradisiacal beaches, unforgettable cenotes, archaeological sites and festivals! In general, the beaches in Cancun are very beautiful with shades of blue that really impress. Quintana Roo, where the city of Cancun is located, has the largest number of archaeological sites in Mexico. Sailing the bay of Cancun, you can enjoy an incomparable scenery where the sea and the sky merge in the same color. 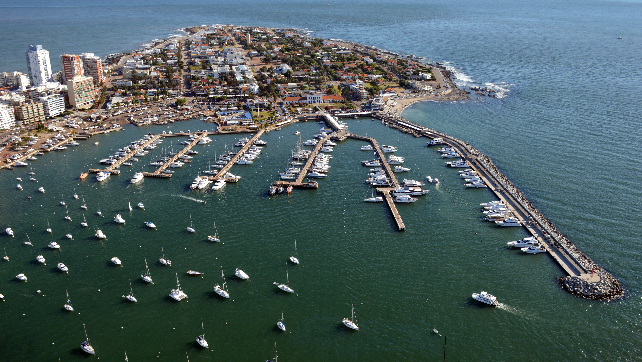 Colonia del Sacramento is a city to see without haste, on foot and preferably on a sunny day, where everything will win a beautiful yellowish tone. Its historical center, patrimony of humanity by Unesco due to its architecture that mixes signs of Portuguese colonization, Portuguese and Spanish, is where you will find what to do, in the XVIII century the Portuguese walled the city and today much of the tourism happens inside the walls , there are several restaurants offering tables on the sidewalks, great food and fair price. The list of reasons to visit Buenos Aires is long. You will tour the city and be thrilled, bringing incredible memories. The gastronomic quality is recognized in the list "Latin America's 50 Best Restaurants 2016", with eight award-winning Buenos Aires restaurants. In the city you will find many "tanguerias" with orchestras and live dancers. Buenos Aires is a city full of cultures, 380 bookstores, 287 theaters and its 160 museums. One of the main European tourist destinations, a complete city that can offer endless possibilities of sightseeing and pleasing to almost every public. Besides beautiful, the city is facing the sea, and that changes everything. Watching the unhurried Mediterranean or even the multiple options of walks facing the sea is very cool. It changes the routine of urban walks. 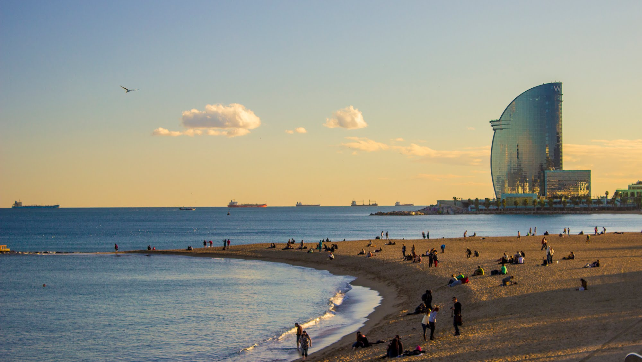 Barcelona has a super pleasant Mediterranean climate, which allows you to enjoy the city all year round. As it is a very touristy city, there are plenty of gastronomy, hotels and even tours to organize the trip, even if you have visited the city many times. Always worth returning.